Whoa, this looks good! Single player campaign also. Holy snit!!! Have my prayers been answered? 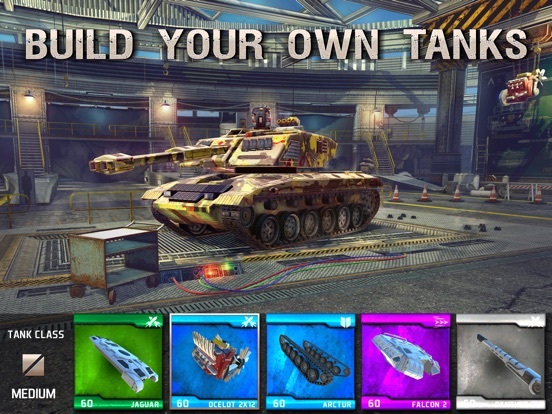 Is this the fully premium third person tank game of my dreams? How are the on screen controls? Looks like a tank pron to me! Yeah! How are the on screen controls set up? With their last game I had a rough time. That's why I'm just making sure this time. 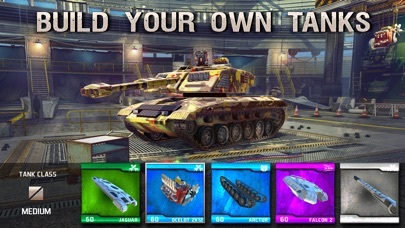 Controls like Battle Supremecy, left side drive, right side turrent rotation, ammo button for firing. I fell its a little loose, but not game breaking, more of my preference. Completed first mission and looks gorgeous on iPhone 7 Plus. Since there is MFi controller support and if it is good, I am not too worried about the control. As I am not very much an online guy, how long is the single player campaign? Looks like only 14 campaign missions, they are a little long, stressing little, but it seems engaging so far imho. Good thanks. May purchase when the new game week is not so interesting -- this week is way too interesting. my only purchased for this week, well i guess. this is totally another awesome games from the dev. lot better than their previous BS: EVO. good control and camera angle and as usual a step up in graphical department. still playing campaign mode, ill probably try the multiplayer later. 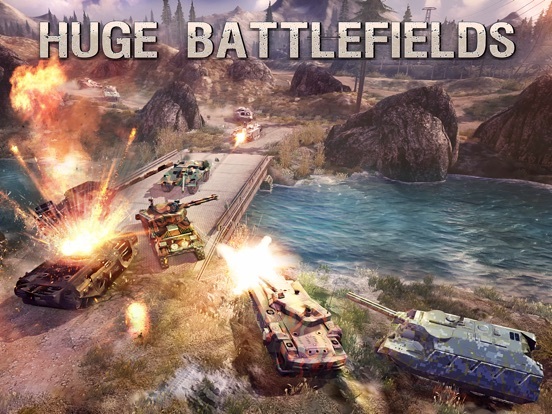 I'm a bit wary of Atypical Games since Battle Supremacy: Evolution (both the wonky controls, and how the game didn't see much in the ways of updates to adress issues). 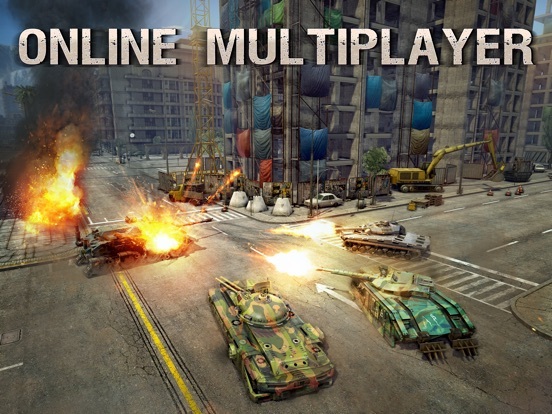 And it's hard to see a place for something as relatively niched as another multiplayer tank game on iOS, when World of Tanks already offer such an extremely polished experience (unhindered by its freemium mechanics). But this still looks impressive. 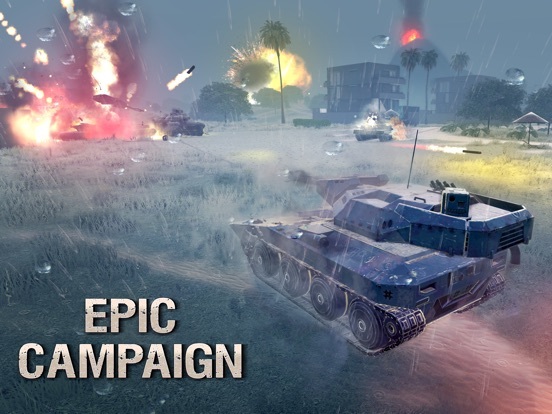 For those of you already inside four metal walls, how does it play in comparison to WoTB? Faster and with less focus on realism, perhaps? 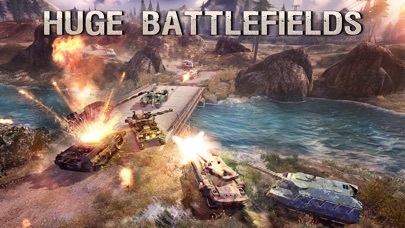 From my little time playing WoTB, pretty similar, it feels like it me. Strike the side more damage, frontal attack minimal damage. 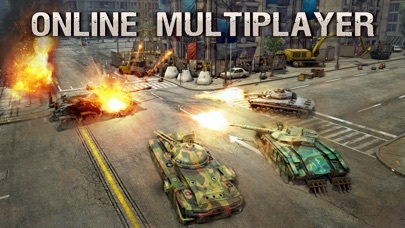 As for the controls, kind of similar, plays more like Battle Supremacy. 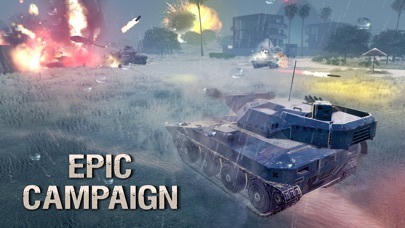 I would say this is more arcade like and light on the sim aspects, but the chance to upgrade your tank gives it more life. I guess I need to fire up WoTB to compare the two, haven't tried multiplayer on this one yet, not much of a multiplayer person. This looks to be one of the first games that requires a controller for AppleTV. Excited to try it out from the lounge. I skipped BS Evo due to the bad reviews. Hello! We've read the posts and thank you for the nice words. We know that Evolution was not quite right, but due to complexity we couldn't do more. My apologies if you didn't enjoy it. Big thanks too, as you supported premium so we were able to bring you a new experience. 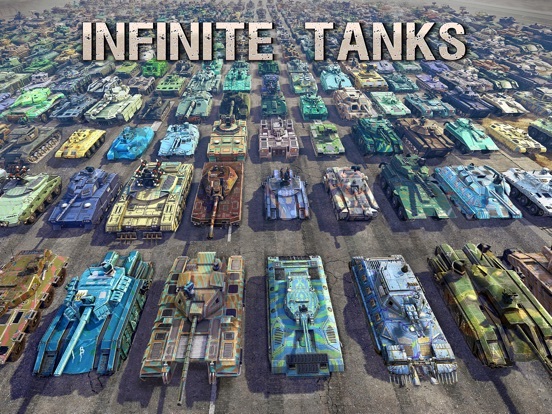 Infinite Tanks is different and personally I believe it is the deepest game to date. It is also 100% pure breed premium - there are no IAP.